Atomsmith Molecule Lab - Middle School Edition is a tool that will improve your understanding of physical science and introductory chemistry. Learning (and teaching) chemistry presents a unique challenge: it depends on the ability to "see" 3D shapes and interactions of molecules we can't actually see -- they are too small. Scientists use 3D simulation and visualization models, based on published science data, to overcome this challenge. 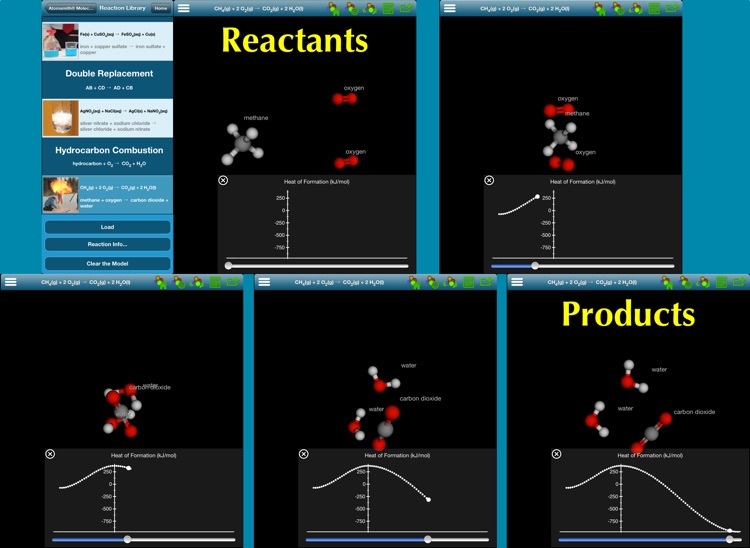 Atomsmith Molecule Lab - Middle School Edition makes these particle models accessible to introductory physical science and chemistry students, enabling them to interact virtually with molecules and to perform experiments at the atomic scale. Because Atomsmith Molecule Lab - Middle School Edition's models are 3D, physically accurate, and interactive (NOT 2D animated cartoons or videos to be passively watched), you can use it to do real science, and by performing hands-on experiments yourself, you learn real science. 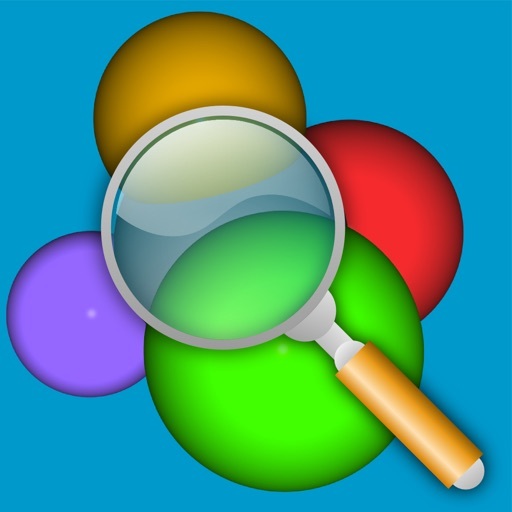 It's the perfect tool to satisfy the Next Generation Science Standards' requirements for digital media, developing models, analyzing and interpreting data .., all in conjunction with illustrating the structure and properties of matter. 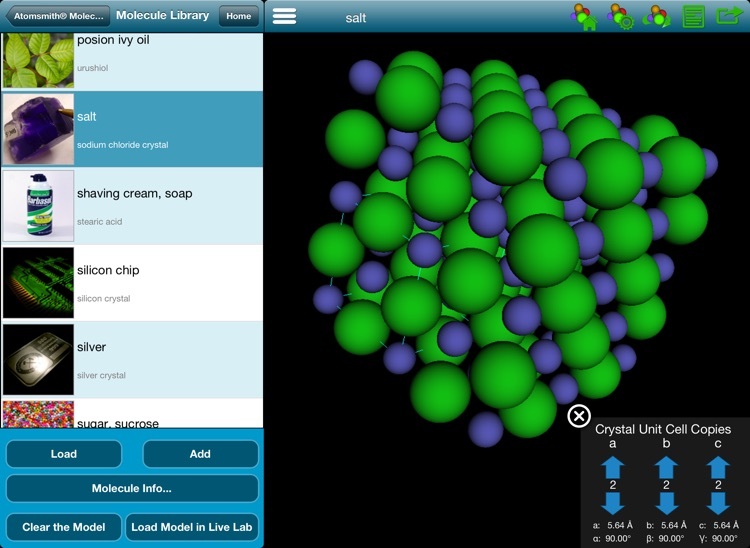 Atomsmith Molecule Lab - Middle School Edition contains a collection of physically accurate models of "Everyday Molecules" and crystals. The molecules range in size from small (noble gases) to large (DNA) and can be viewed using a variety of labeling and 3D viewing options. Observe the structures, grow the crystals - spin them around, zoom in or compare them side-by-side. Then load the molecules into the Live Lab to see how they move and interact. Molecules are in constant motion. 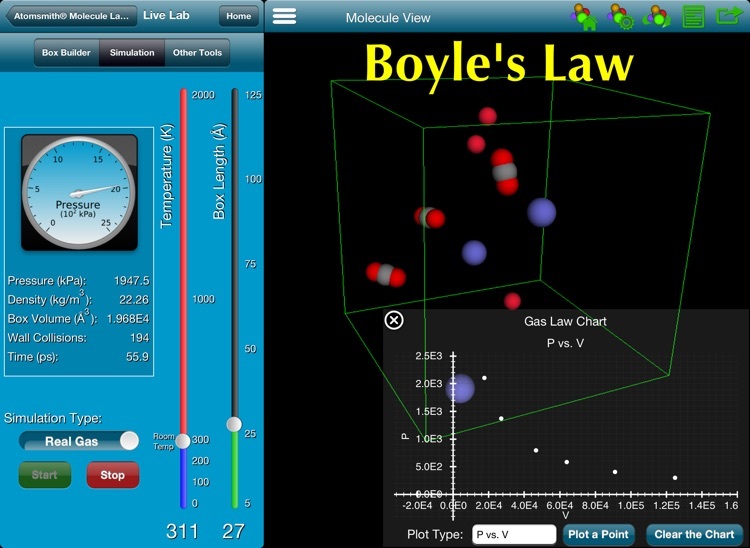 Put molecules into the Live Lab's "virtual box" and run simulations that allow you to see their motions and interactions. 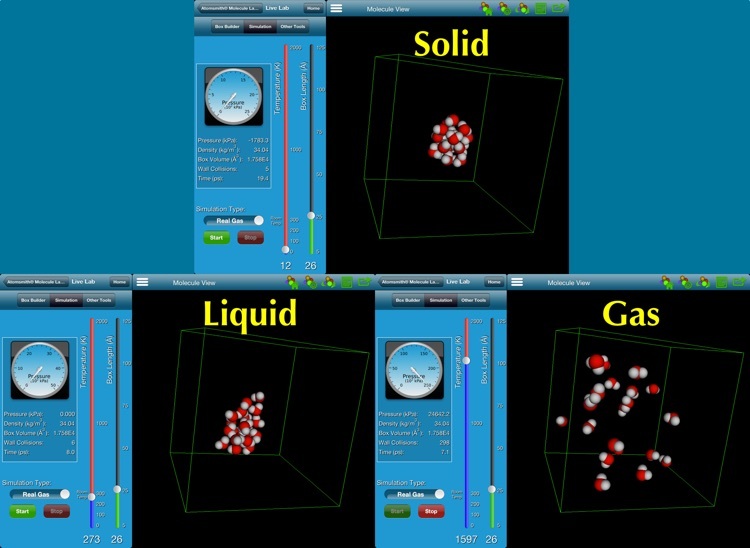 Then perform experiments on the molecules as you vary the composition, temperature, volume and pressure of the simulation. With the invisible intermolecular forces turned ON, change the temperature and see the molecules transform from solids to liquids to gases - and back again. Or turn the forces OFF to begin studying ideal gas behavior and kinetic molecular theory. 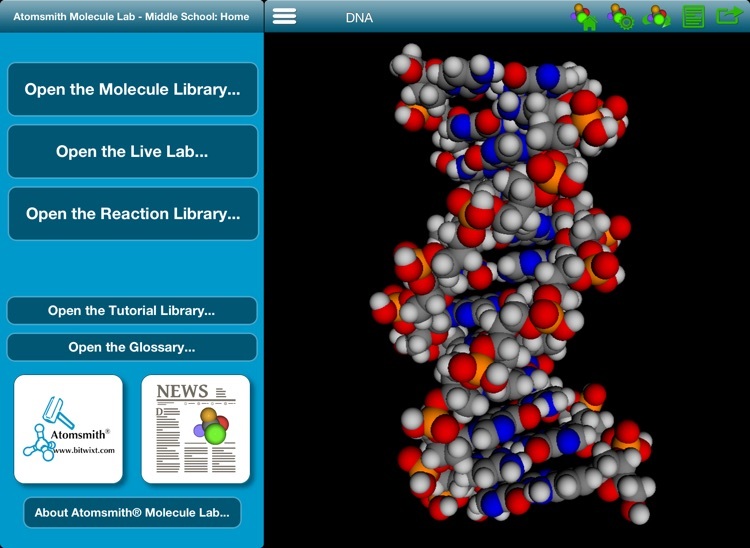 Atomsmith Molecule Lab - Middles School Edition's Reaction Library contains a collection of interactive, 3D molecular-level models of many common types of chemical reactions. 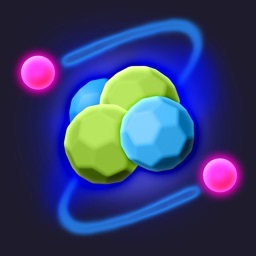 Use it to explore how atoms in molecules rearrange during chemical reactions. You can also track the energy changes and confirm the principles of conservation of mass and numbers of atoms. 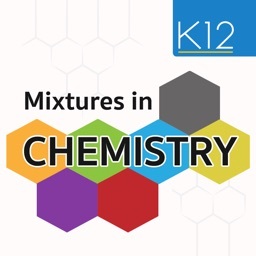 • Onscreen Tutorials walk you through the steps of how to use Atomsmith Molecule Lab - Middle School Edition to explore a broad range of introductory chemistry concepts. 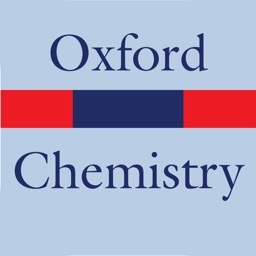 • A detailed Glossary puts simple, clear explanations of many chemistry terms and concepts at your fingertips. • A News feature links to current news articles about molecules in everyday society and commerce. Read the news, then examine models of the molecules. 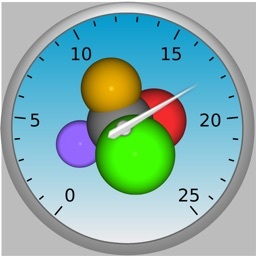 • A periodic table to reference when you study the atoms and molecules. Volume discount pricing is available to schools through the Apple Volume Purchase Program. 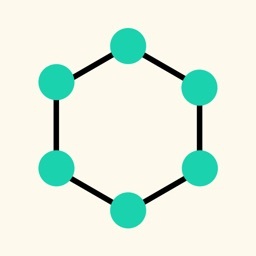 Note: If you are teaching or studying chemistry at the high school or college levels, you should check out the "full" edition of Atomsmith Molecule Lab.